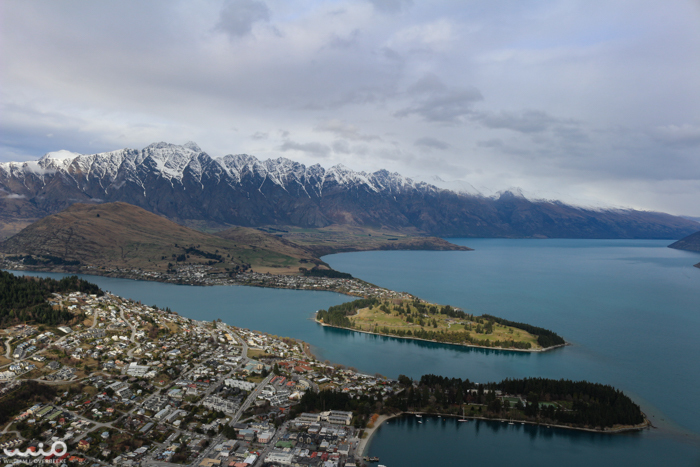 The view of Queenstown, Lake Wakatipu, and the Remarkables from the viewing deck. The closer peninsula is the botanic gardens. The further slanting plateau, to the left, is Deer Park Heights.